Wishing everyone a very happy day to give Thanks. We are preparing for our busiest time of year meeting newly engaged couples. It is also a time to remember one my favorite weddings on Thanksgiving weekend with the wonderful Mela and Nathan. The ceremony and reception were at the beautiful Villa del Lago overlooking Lake Travis. The weather turned chilly, but with all the dancing, fireplace lit and portable heaters it was a perfect night. Cheers to the another beautiful fall wedding at The Austin Four Seasons Hotel. The back lawn has been the perfect back drop to many of our fall weddings and I was so happy when Lucy contacted me to assist her as her “day of” wedding planner. We offer a unique service that provides phone and e-mail contact with us as soon as we are hired, not just day of or month of consultation service. 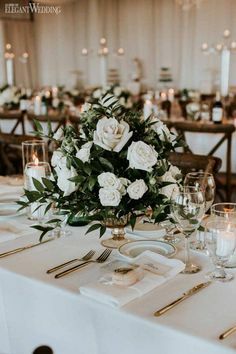 Lucy decided to add hiring the florist and attending the tasting to her services with me in order to pull all her ideas together, but also utilize my past experience in catering to create the perfect menu for her guests to enjoy. Her wedding style was elegant and classic with warm shades of coral, creams and gold. Do you want to plan the majority of the details of your wedding, but would like a professional Austin wedding planner to be available as your wedding advisor? If you do not know what you need, give us a call to see if we can answer your questions, concerns and start making you comfortable with how it will all come together. We have such wonderful vendors and our relationship with them gives you just that little extra all brides deserve. Speaking of wonderful vendors, Pam Hults with A la Vie Photo http://alaviephoto.com/ is always a great addition to our team. We work in sync to make sure the couple has just what they want. See her fantastic photos below capturing Lucy and Justin’s wedding day. We still have openings for spring 2015, call today to see if we are the right fit as your Austin wedding planner. Whether planning locally or long distance, be sure to have a professional planner you can turn everything over to so you and your family can enjoy your wedding day.